We believe that participatory music making in classrooms is more critical than ever, not only to ensure students benefit from an enriched arts and music experience that is engaging and relevant to their lives outside of school, but to ensure we nurture the next generation of musicians who will feed into the creative industries. Musical Futures can contribute to ensuring that students can access a broad and balanced cultural education through a focus on relevant, authentic music learning that draws on their own interests and musical identities, and by breaking down the barriers between in- and out-of-school learning. How might pupil premium funding be used to support more students with music learning? 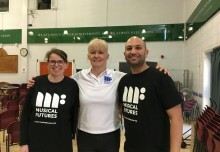 Musical Futures schools Morpeth School, Tower Hamlets and Castle Rock High School, Leicester both use pupil premium funding to ensure that any student can access extra-curricular instrumental and vocal lessons. Read this blog for how a step change in the arts offer of schools might be achieved by effectively using pupil premium funding. How can we ensure that new teachers to the profession are fully supported and have access to the right sort of professional development? 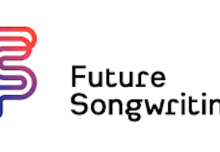 With a decrease of music teacher trainees into the profession how can organisations like Musical Futures best work with teachers who may be required to teach music without necessarily having it as a specialist subject? The Teacher Development Trust’s Developing Great Teaching report outlines some principles of effective professional development. Our latest programme Just Play is one way of helping any teacher make music with their classes, whatever their prior experience. The British Music Industry contributes £4.1bn to the economy annually, but a decline in music provision in schools could affect this. Classrooms are often the starting point for young peoples’ musical journeys, and creating and playing music is a way of motivating and engaging students in a subject that bears much relevance to their lives outside of school. How can schools tap in to local businesses and industry to support and enhance the work of their department, and raise the profile of music learning in their community? Read the Ofsted case study of Morpeth School, who have developed a range of local partnerships with industry and business in their community.